One of my favorite things about Christmas is decorating our Christmas tree; I think the more ornaments, lights, and garlands, the better! 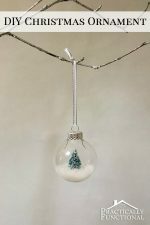 You can never have too many ornaments, so I filled glass ball Christmas ornaments with tinsel and beads this year. They took less than five minutes to make, and they’re super cute! 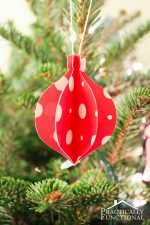 Plus they make the perfect handmade gifts to give to friends and relatives if your own tree is getting a little cluttered! I found all of my supplies at Michaels, but any craft store near you should have this stuff! 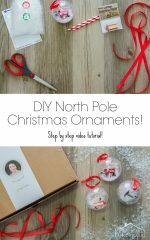 I used a garland of tinsel and a garland of beads and ribbon for these ornaments, but you can fill them with anything you can think of that will fit through the opening! Start by pulling out the top of an empty ornament. 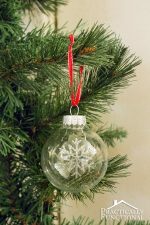 Then cut apart your tinsel garland into a few small pieces and push them into the small opening until the entire ball is filled. Then put the top back in place. 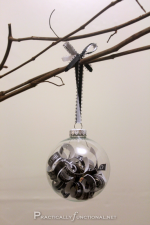 Cut a strand of ribbon, thread it through the top, and tie it into a loop for hanging the ornament. 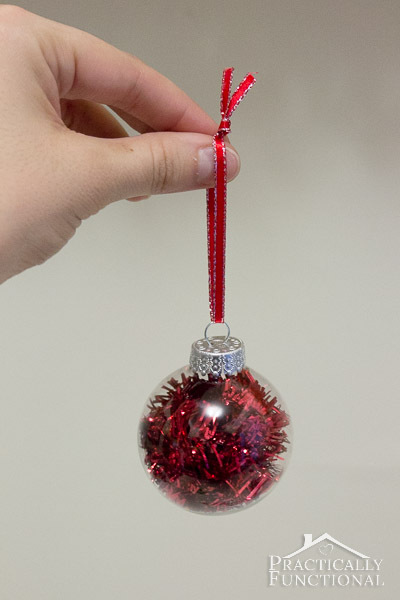 If you want to try something different, just put one single strand of tinsel in your ornament and let it curl around! 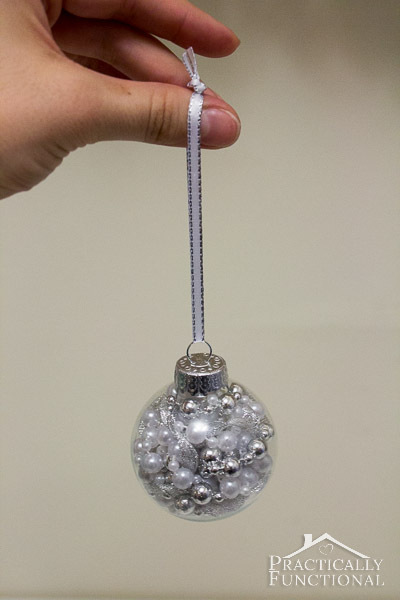 Or try filling the ornament with beads and ribbon instead! Get creative with these; you can fill them with anything that will fit in through the opening! 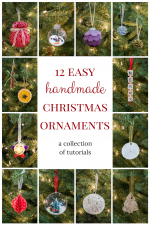 You can use beads, sand, ribbon, curled paper strips, tinsel, and more! so pretty and easy! i may do this next year for teacher gifts! Easy and cute!! I love the garland and beads in them. Looks great! !